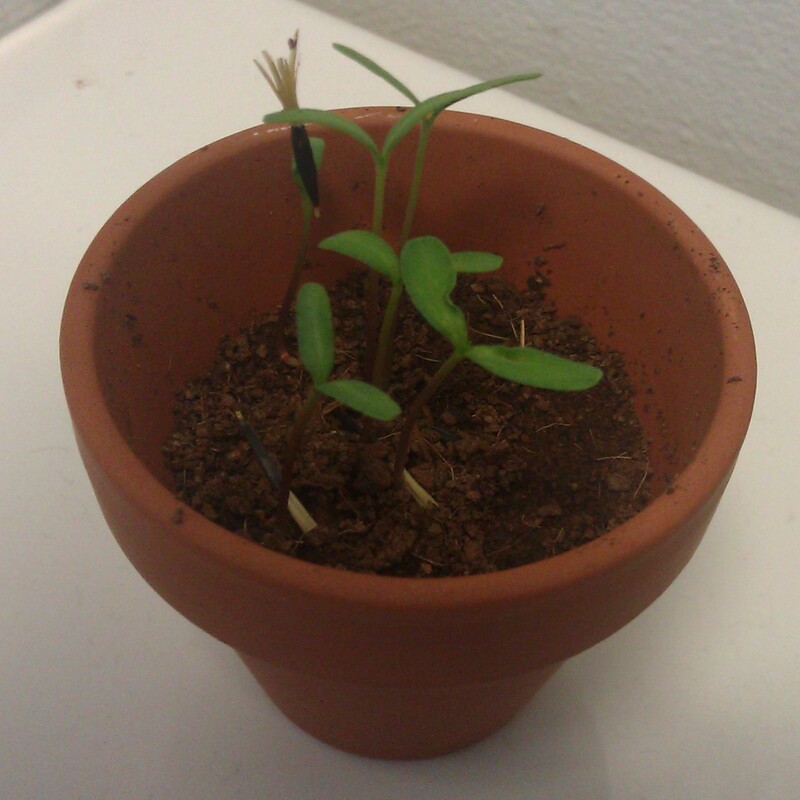 FIRST LEAVES: I was so excited to see leaves after a few weeks of planting the marigold seeds. Doesn't this mean I'm doing something right? NOW: More leaves -- different leaves. And sorry for the less than stellar pic -- I'm using the camera on my phone and still figuring out the quirks. 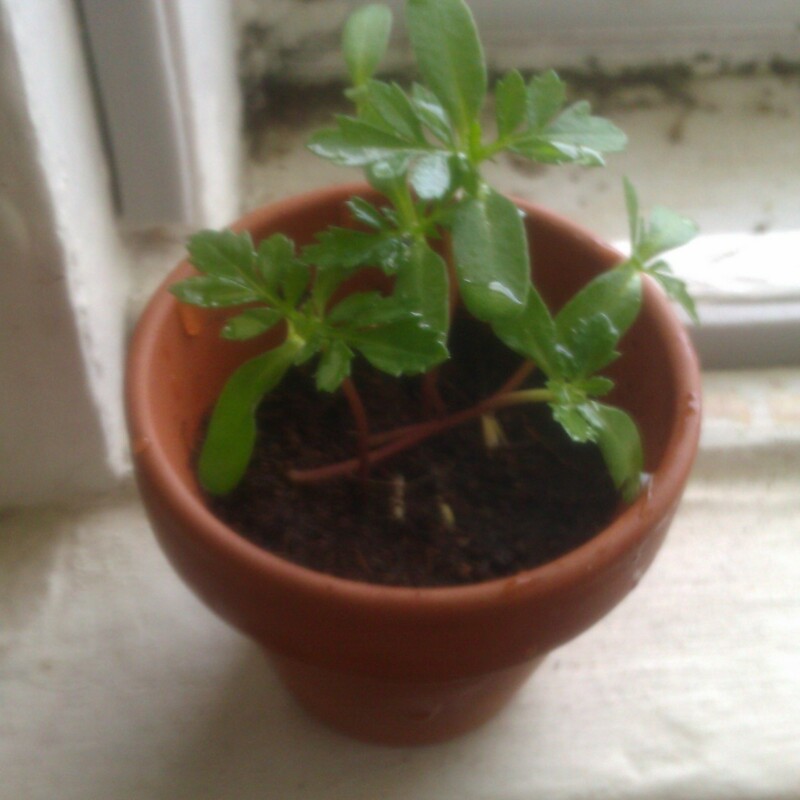 Anyway, isn't my little plant pretty? Now, I just want to see some color. I would educate you on something, but oh wait, you haven’t updated your blog since July! You have plenty of time to play Words with Friends, but can’t update your blog? Hmmmmmm. 🙂 Love you.